Melvin Gordon ran two yards for a touchdown on the Los Angeles Chargers first possession and undrafted rookie free agent JJ Jones returned a punt 72 yards for a touchdown in the second quarter in a 24-14 victory over the Seattle Seahawks on Saturday evening in an NFL preseason game. Mike Williams caught a 25-yard pass from Geno Smith in the third quarter for the lone second-half touchdown for the Chargers (1-1) at before a crowd announced at 23,211 at StubHub Center. Seattle (0-2) kicked field goals on both of its first two possessions but didn’t score again until Alex McGough’s 12-yard touchdown pass to fellow rookie Malik Turner with four minutes, 31 seconds to play in the fourth quarter. McGough’s two-point conversion pass to Cyril Grayson Jr. cut the deficit to 21-14. The Chargers drove 51 yards on nine plays on the ensuing possession, which culminated with Roberto Aguayo’s 39-yard field goal with 40 seconds to play. The Chargers were outgained, 340 yards to 322. Both teams had 17 first downs. The Chargers led 37:21-22:39 in time of possession. Philip Rivers completed six of seven passes for 62 yards in his first action of the preseason. He did not play in the Chargers 24-17 loss to the Arizona Cardinals last Saturday in the preseason opener for both teams. Smith replaced Rivers at the start of the second quarter, completing six of eight passes for 85 yards. “I felt pretty good out there,” said Smith, who completed 14 of 23 passes for 218 yards and one touchdown with one interception against Arizona. Cardale Jones entered the game on the Chargers second possession of the third quarter, completing three of four passes for 27 yards. Seattle quarterback Russell Wilson played the entire first half, completing 13 of 21 passes for 193 yards. Austin Davis replaced him at the start of the second half and completed one of three passes for six yards. McGough completed nine of 12 passes for 97 yards. The Chargers converted seven of 14 third-down plays, 50 percent, the Seahawks six of 13, 46 percent. Rivers completed all four of his passes for 41 yards on his team’s opening possession, including a 21-yard completion to Tyrell Williams on the first play. “We were hitting on all cylinders,” said Gordon, who ran for 35 yards on 10 carries, all in the first half. JJ Jones praised special teams coordinator George Stewart for making “a great call” on his punt return touchdown, calling a middle return. “It opened up like the Red Sea and I just hit it,” said Jones, who played at West Georgia, an NCAA Division II school. The Chargers were penalized 14 times for 116 yards. Defensive back Jaylen Watkins was penalized 15 yards for lowering his head to initiate contact on the first play of the game. Janikowski is attempting to make the Seahawks roster after spending the 2017 season on injured reserve for Oakland after kicking for the Raiders from 2000-16. “There are some guys who are going to be disappointed (Sunday) when we watch the tape with their grades because of penalties,” Lynn said. Seattle was penalized six times for 50 yards, including an illegal block in the back by rookie tight end Will Dissly that nullified a 23-yard touchdown run by Chris Carson on the game’s opening drive, where the Seahawks settled for a 33-yard field goal by Jason Myers. 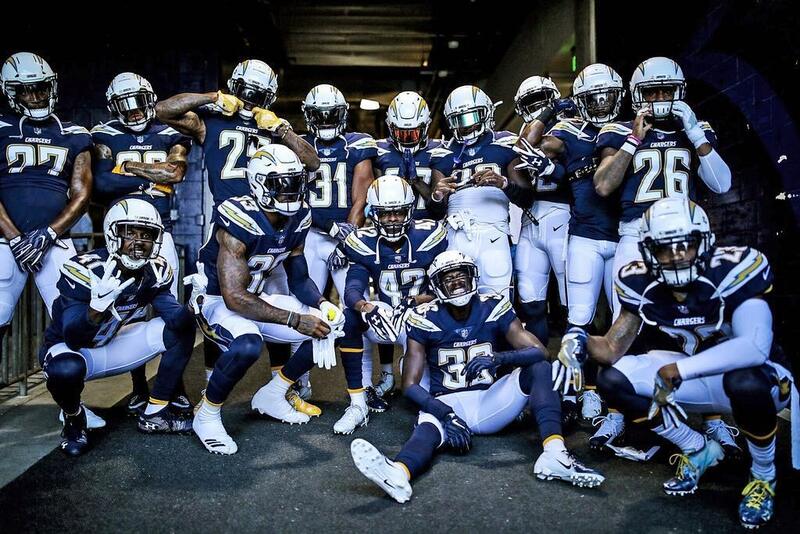 For the Chargers, “certain guys have turned the corner,” Lynn said.